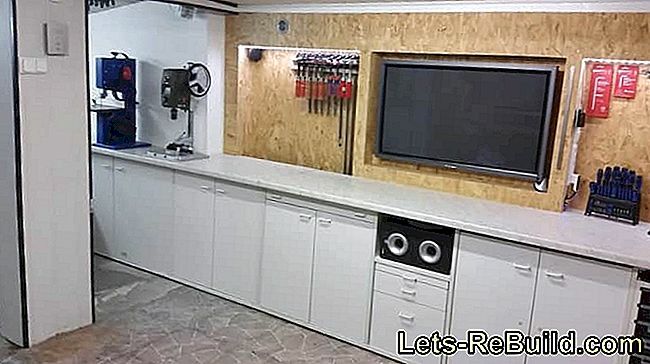 A workshop needs not only a workbench but also enough storage space. 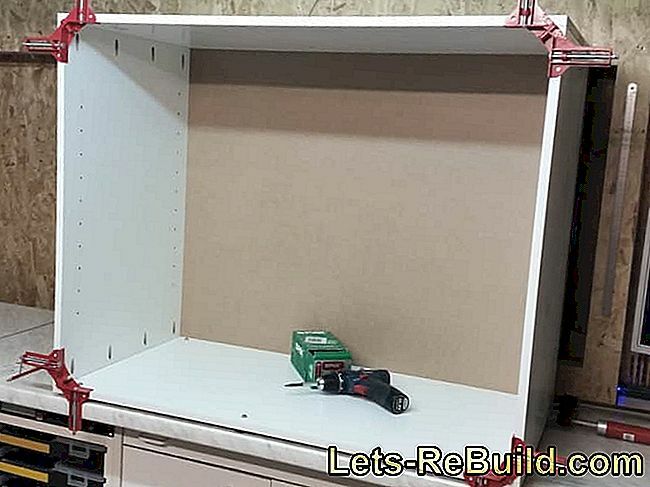 It makes sense to combine both and build the workbench on suitable cabinets. 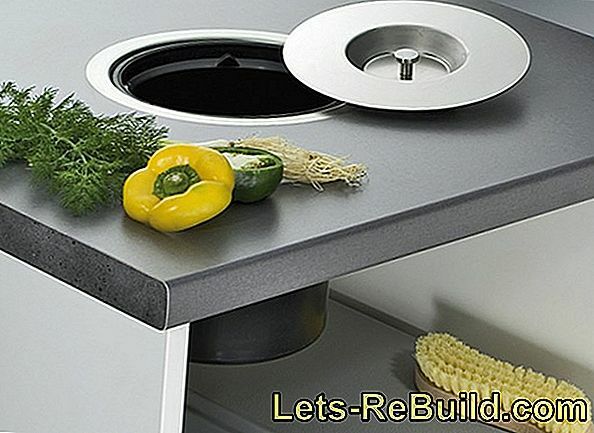 A kitchen countertop is cheap to buy, offers plenty of space with 60 cm depth and can be extended if necessary or connected via corner. 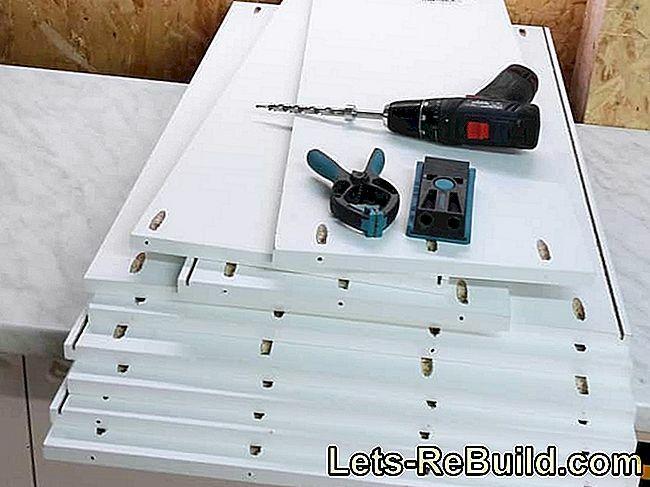 With our construction manual you can be right easy and without much effort Build workshop cabinets yourself. Advantageous is the use of shelves, which are available in standard sizes in almost every hardware store. The external dimensions used need no cutting and achieve an optimal working height. When using kitchen worktops, these need only be hung up and reach a large work surface. 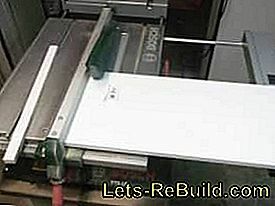 Only the doors have to be sawed properly, which reduces the waste and waste to a minimum. 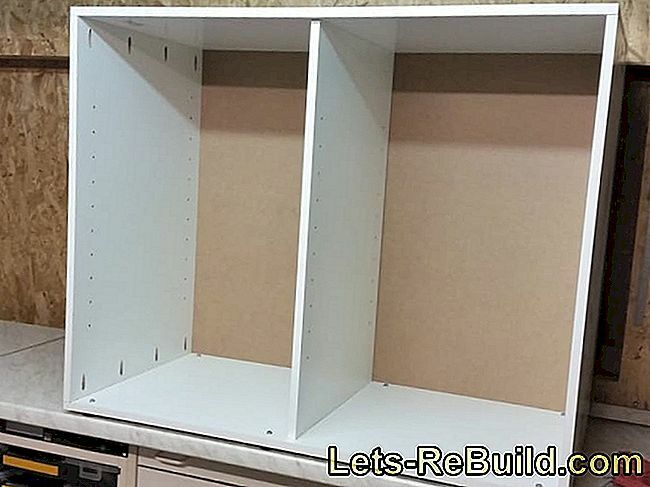 If the blank is left to the hardware store, no saw is needed to build the workshop cabinets. The information refers to a cabinet in the size of about 100 cm x 80 cm x 40 cm and can be easily adapted to your own requirements. The prices mentioned are exemplary and apply to the current offers of the DIY store "Bauhaus" or the online offer on Amazon.de. 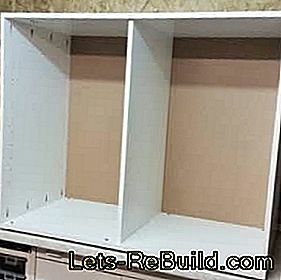 The construction manual shown also refers to a cabinet width of one meter, a height of about 83 cm and a depth of 40 cm and is suitable for a workbench with a 60 cm kitchen worktop. 40 cm depth ensure 10 cm ventilation behind the cabinets and a protrusion of the worktop of 10 cm to clamp workpieces on the workbench using screw clamps to be able to. Gladly the dimensions can vary, for which only a different level of shelves must be chosen. The upper and lower parts, as well as side parts become later bolted without further cutting. The doors and the center board have to be adapted. The measure of the doors results from the shelves used. For this, the later clear dimension must be determined. With a cabinet width of 1 m, the thickness of the side panels must be subtracted and a margin for opening and closing the doors to be charged. 100 cm - 2x board thickness of the side parts (3.2 cm) - air gap (3x 0.3 cm) = 95.9 cm. Since two doors are installed, the result is divided by two and a door width is thus about 48 cm. The height is determined from the side parts of 80 cm - the air gap of 2x 3mm and thus corresponds to 79, 4 cm. Depending on how well worked, the air gaps can also be smaller, which minimizes the ingress of dust. 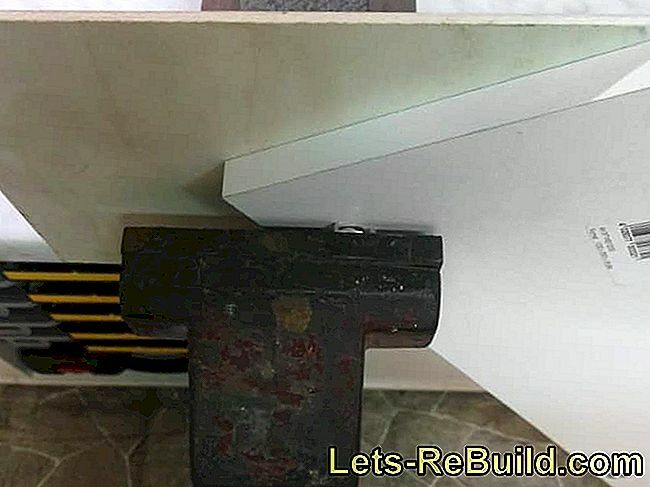 The dimension of the center board becomes determined after deduction of the rear wall and the door thickness. At a depth of 40 cm, a door thickness of 1.6 cm and a 3mm back wall plus a distance to the edge of 5mm, the center board is calculated as follows: 40 cm - 1.6 cm - 0.8 cm = 37.6 cm. The height remains unchanged at 80 cm. 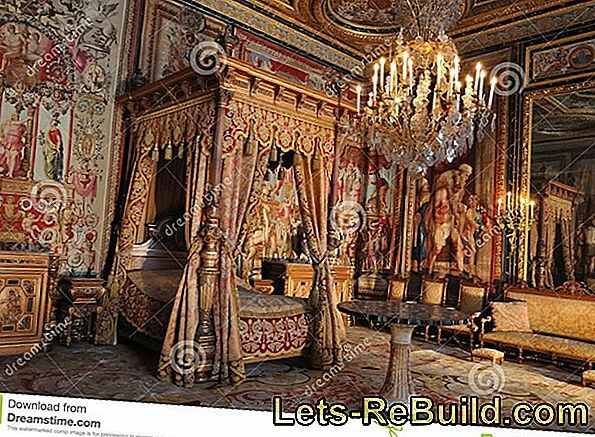 Since the body of the cabinet does not require a blank, it is advisable to finish this first and then saw the doors, the center board and the rear wall. So small inaccuracies can be compensated. The measure of the back wall is determined from the clear opening in the cabinet plus 2x groove depth and is 98 cm x 81.2 cm with a groove depth of 0.6 cm. The Grooves of the outer boards for receiving the rear wall, takes place on the table saw. If this is not available, you can also reach for the router or later nail the rear panel, which will negatively affect stability. Common saw blades have a thickness of 3 mm and also Rear walls are available in a thickness of 3 mm. 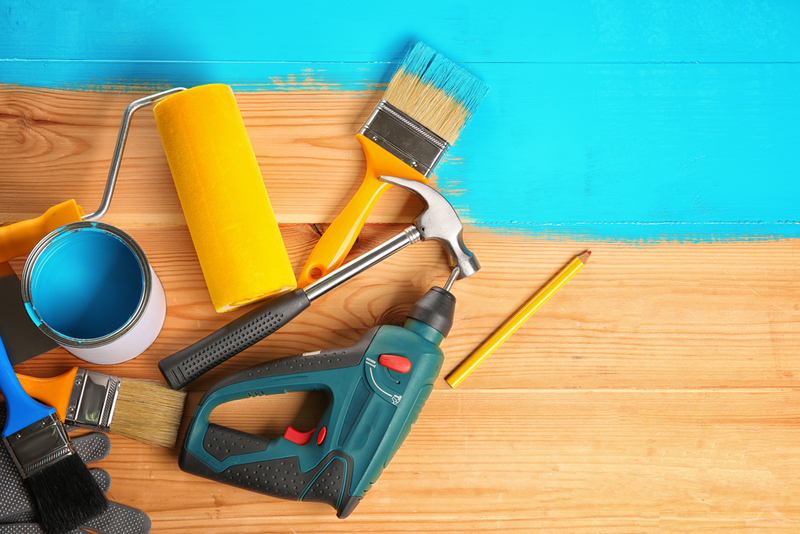 Slight inaccuracies in strength can be easily compensated by sanding. To set up the table saw is the rip fence with a distance of 5 mm furnished to the saw blade. Larger or smaller distances are quite possible, only the dimension of the middle board must be adjusted afterwards. The groove depth is determined by the height position of the saw blade, for which the saw blade guard and also the splitting wedge (if higher than the saw blade) must be removed. The groove depth can be chosen relatively freely and should be about the holding board thickness. For a simple calculation of the back wall, a groove depth of 0.6 cm is practical with a board thickness of 1.6 cm. The closer the rear wall sits later in the grooves and the less play it has, the easier it is to align the cabinet during assembly and the higher its stability. For grooving, the rear edges of the upper and lower boards as well as the side parts are guided along the stop. 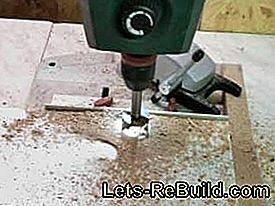 Make sure that the board on the saw table does not rise and the groove depth becomes inaccurate. 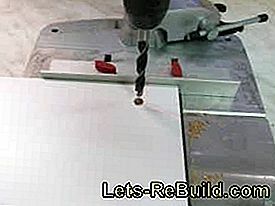 For safety the boards led over the saw blade several times become. This also ensures a very clean groove, which facilitates the insertion of the rear wall. 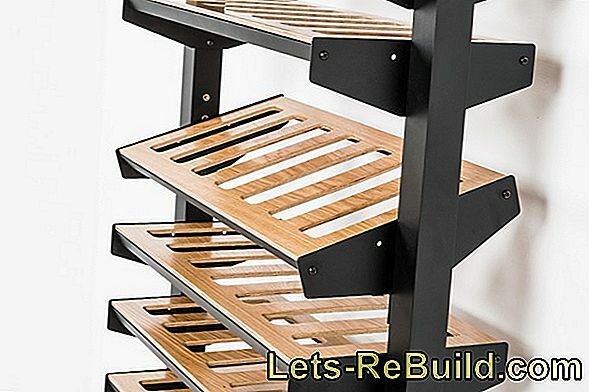 The cabinet parts can be directly screw, dowel or join together with metal connectors. However, the pocket hole system is simple, fast and stable at the same time. For a secure connection at a cabinet depth of 40 cm set four screws per connection. Since the side panels are placed on the lower part and under the upper part, the holes are made on the side panels. 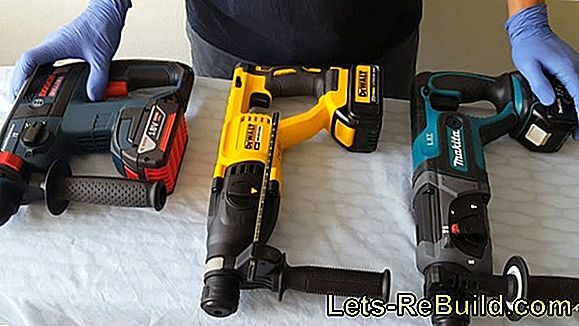 To do this, set up the drill depth limit of the drill according to the operating instructions and mark the four drill holes. The distance can be chosen freely, but should spread relatively evenly on the board. It makes sense to align the distance of the outer holes to the Undercover Jig (see picture). This already saves the marking of these two holes. The average holes must be measured or "estimated" torn. An exact drilling position is needed. In this form both sides are drilled top and bottom. Needed accordingly a total of 16 holes. The sample picture shows several ready-prepared side parts for cabinets with a depth of 40 cm and 30 cm. After a fairly simple preparation, the body can already be set up and bolted. If the grooves have been worked very precisely and the rear wall has been cut exactly to fit, the cabinet is already self-aligning. 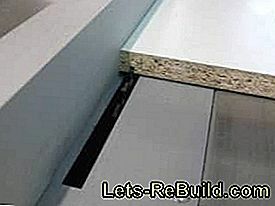 The original edges of the shelves, whose processing is not required, supports the right-angled construction. 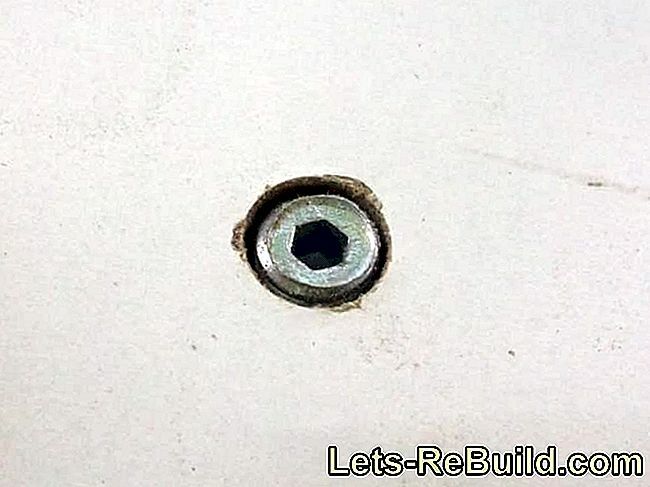 However, as the screws in the pocket hole connection are slightly inclined to the board to be joined, it is advisable to fix the right-angle position of the connections. Helpful here are small angle clamps or other tools. If several angle clamps are used, the entire cabinet can be checked for perpendicularity and bolted in one clamping. Subsequently will measured the position of the center board, this also fixed and screwed. Note that the center board must be set inwards by the thickness of the doors to accommodate the inside doors. Concealed hinges offer the advantage of keeping the doors open and closed thanks to a spring mechanism. When buying, however, must be sure to pay attention to the later position of the doors. These can be inside, half outside or directly outside on the body. There are three different cup hinges for this purpose: inner stop (door inside), center stop (half on the side part) and corner stop (completely on the side part). 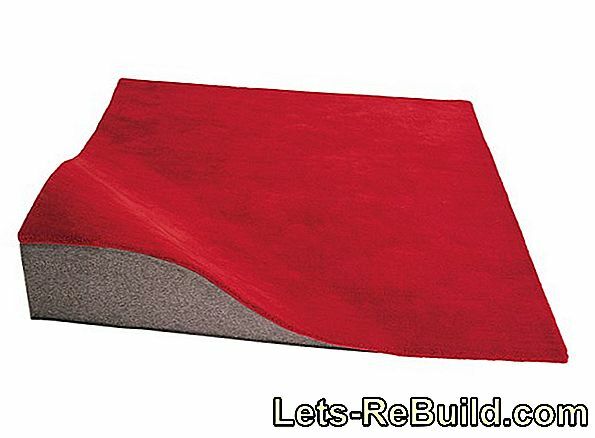 In this manual, the doors are inside and it will be Top hinges for an interior stop needed. As an option, concealed hinges can be equipped with special equipment. It is possible damping, which slows the door during the closing process and thus prevents a "slamming" of the doors. In addition, concealed hinges can have a click system that allows them to be removed and inserted without tools. Especially in the workshop, in which tools are often resorted or a direct access to the contents of the cabinet is necessary, such snap closures should not be waived. For fixing the doors will be drilled in the first step, the pot hole. In addition to the distance to the edge (please refer to the given dimensions to the pot hinge), especially the drilling depth is to be observed. When using shelves with a thickness of 1.6 cm, the point between the required drilling depth and the emergence of the drill on the other side is only very small. 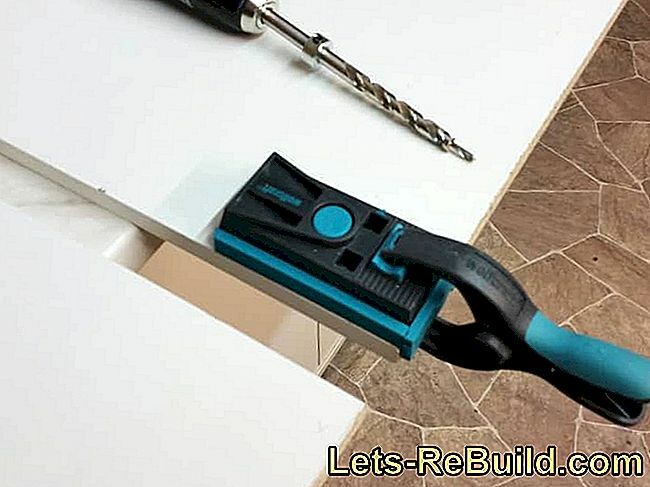 It is practical to set up a bench drill or drill stand with depth stop for this purpose. A piece of residual material and test holes help to auzuloten the maximum depth. If both doors are provided with the required pot holes (distance up and down about 10 - 15 cm), you can fix the hinges. To align the hinges both are used and a spirit level or the like pressed against it. The straight contact surfaces align themselves and the hinges can be screwed. In the next step will be the mounting plates are attached to the side panels of the cabinets. 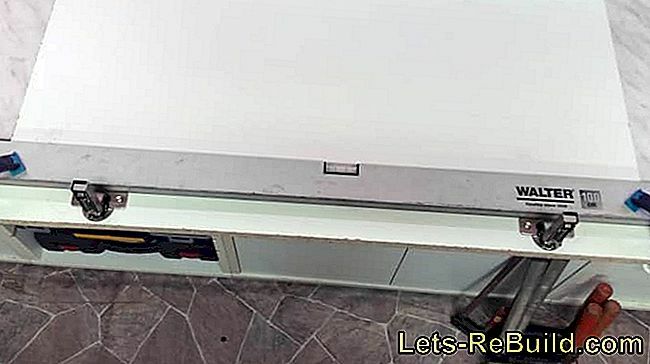 The distance to the outer edge is determined according to the specifications of the concealed hinges (Attention board thickness must be calculated). The distances up and down can be removed from the doors. It is possible to measure these or put the cabinet on its side and to transfer the distances of the hinges from the front doors. With attaching the mounting plates is the installation of the doors almost completed and by trial and error, these can be used. Aligning is not useful at this point. On the other hand, it is necessary to attach the door handles. Always drill them from the front, as the surface of the shelves tends to burst when pierced. The distance from the top should be about 10 cm and the handles later about 5 cm from the edge. For handle bars, the distance between the two mounting holes must be strictly adhered to. Adjustable feet are available in many shapes, but are rarely adjusted from the inside, very expensive or difficult to find in the right shape. Clear easier and, above all, much cheaper are driving nuts and adjustable feet. For a maximum of 15 € each cabinet can be equipped with six adjustable feet, whereby the purchase of large packs pays off here. Straight nuts are offered at 100 pieces barely more expensive than a pack of 10. When buying the adjustable feet An intensive search in the net can simplify the subsequent alignment of the cabinets significantly. Sometimes adjustable feet are available, which have a hexagon socket in the threaded screw and can therefore be adjusted later from above. Without hexagon socket feet must be adjusted from below, which can be complicated in several cabinets. The positioning of the driving nuts takes place with a distance of about 5 cm to the outer edges. A short distance increases stability, since the greatest load is on the vertical side parts, which are better supported. Too little scope, however, complicates the later alignment. Of course, adjustable feet with a large contact surface require more space accordingly. To drill the receiving holes, first measure the outer diameter on the threaded part of the drive nut. For a 10 mm thread this should be about 11.5 mm. 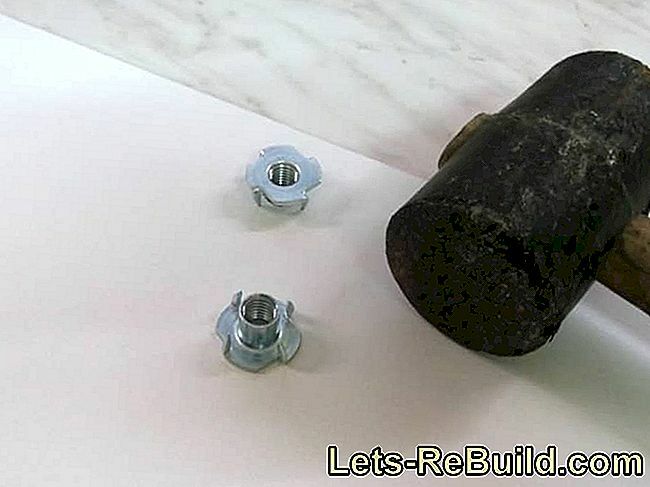 If the hole is drilled too tightly, it will be difficult to insert the impact nut. however, if the hole is too big, it can fall out of the hole later. Attention, since the center board is in the center of the cabinet, the middle adjustable feet must also be offset by 5 cm. Wrench nuts have one Waistband with three or four bent tips, which must be beaten into the wood and provide the mother with support. However, particle boards (shelves) tend to break. It is more practical to press in the drive nut. This can be done with a large pipe wrench or in a vice. Extremely practicable is the vise, since only a little force must be applied, which can be well dosed. For this, however, it is necessary to use the nuts before the assembly of the cabinet. 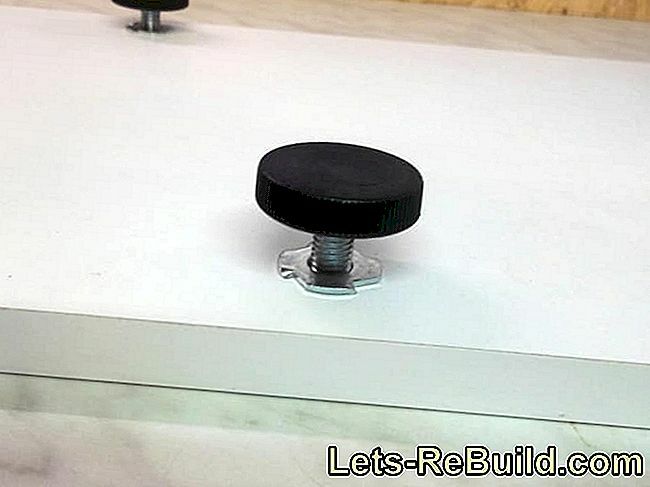 Are all Fitted nuts and screwed the adjustable feet, the cabinet can be set up and aligned. With the support of a kitchen worktop creates a straight work surface with plenty of storage space. If required, the cabinet can also be fitted with shelves. 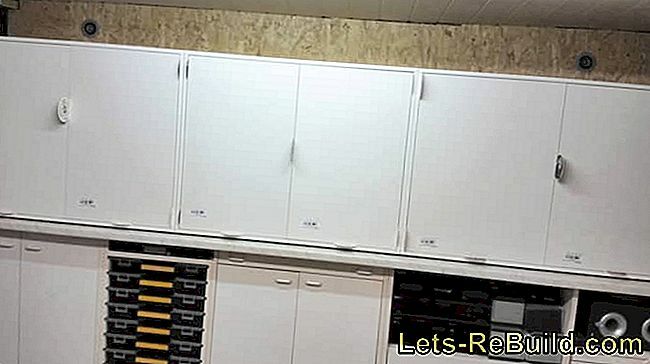 With self-made cabinets, the workshop can be set up precisely. What would be a handyman without his tools? Probably no home improvement anymore. 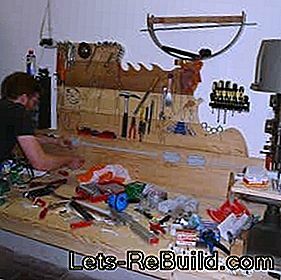 That's why it makes sense, of course, the right workbench and the associated tool cabinet build yourself. Therefore, see below some instructions that you can easily implement. 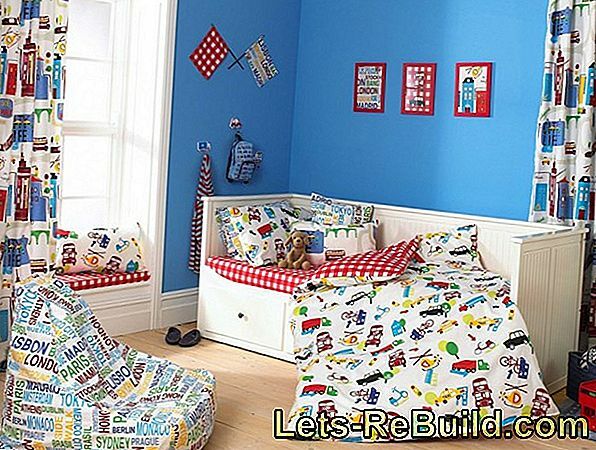 Also for the little ones we have compiled some instructions for children's workbenches. Workbench with two drawers, a door and shelves. 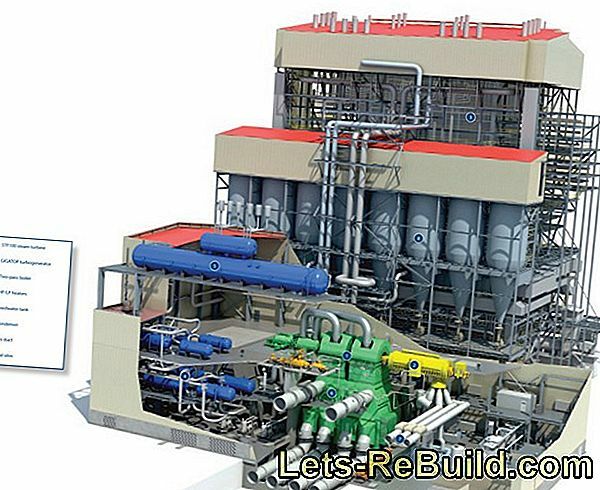 Illustrated manual with detailed construction drawings. 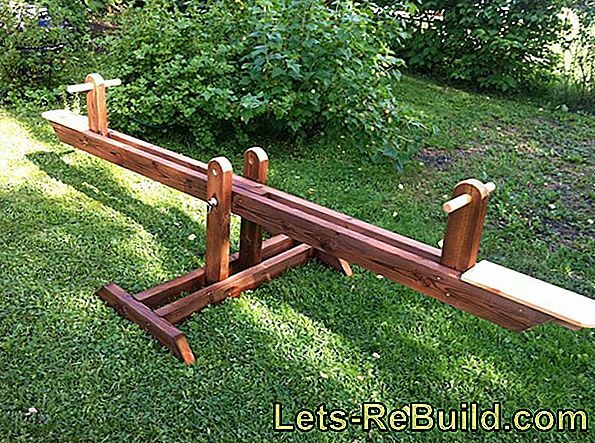 Construction manual for a simple workbench made of leftover wood. Incl. Design drawings. 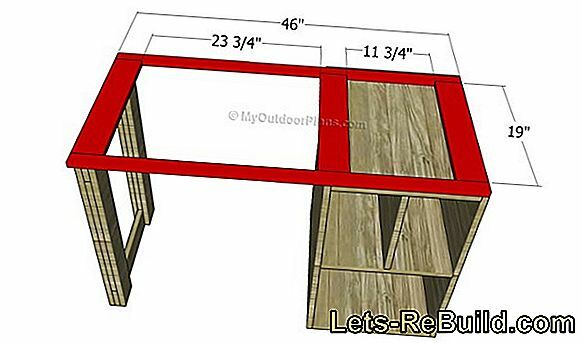 A workbench, which is also to serve as a saw table, is sketched with Sketchup and then set up with 22 MDF boards. Great video tutorial. Detailed instructions for a tool cabinet, which you screwed to the wall. 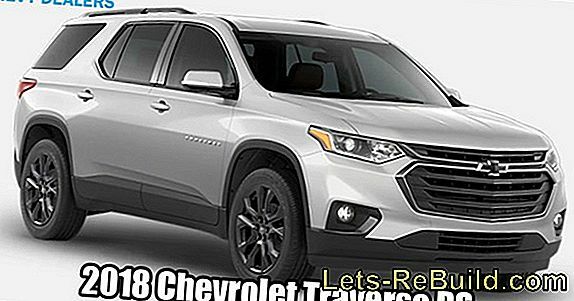 With two doors and good interior layout. 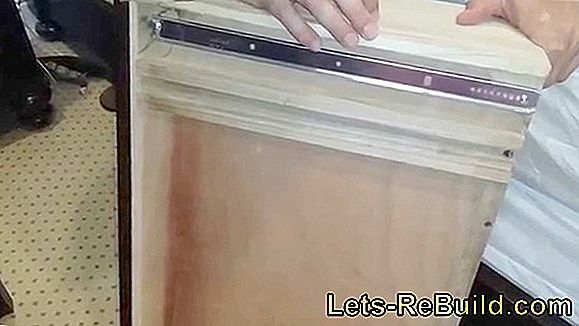 Detailed instructions for the construction of a rollable drawer cabinet for the workshop. 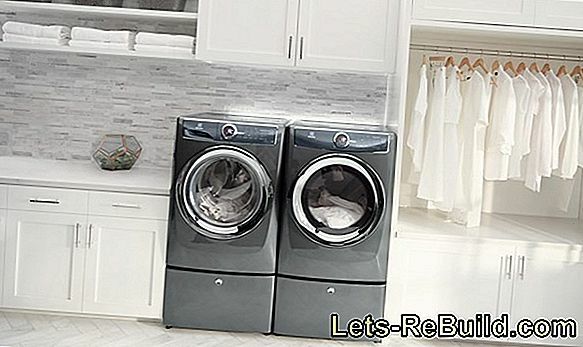 If you compare the costs with a service life of about 10 years and average use, the heat pump dryer is the cheapest choice. Good sleep is important and often not so easy to achieve. 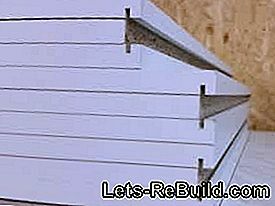 Here you will find instructions for adjusting your slatted frame. Restoring and painting children's furniture: in this tutorial, we will show you how to restore a children's chair, a children's table and a setter box. This is how the proper planning and set-up of a mini-kitchen goes.